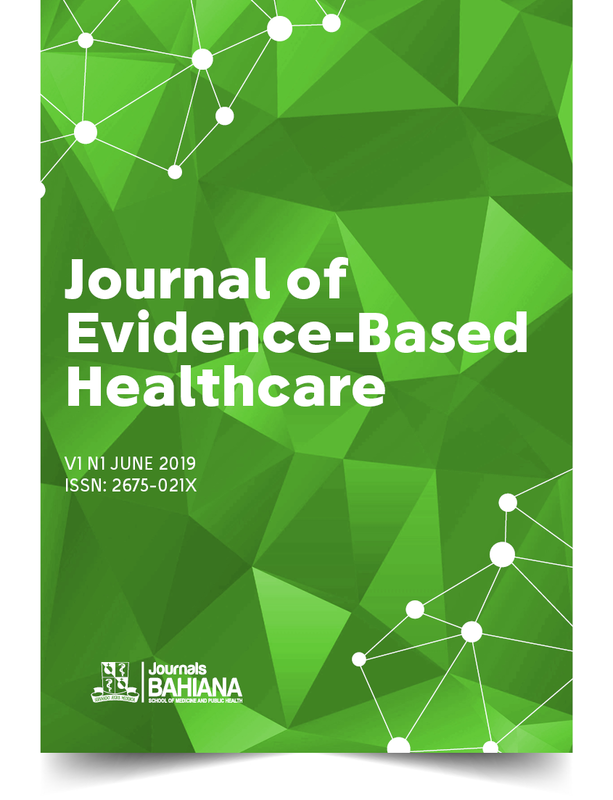 The first Brazilian Journal of Evidence-Based Healthcare is a biannual interdisciplinary publication sponsored by BAHIANA - School of Medicine and Public Health. It is a full Open Access journal with the mission to foster evidence-based knowledge in the Biomedical and Life Sciences through the publication of rigorous research and concept articles. Therefore, it will accept and publish original research focused on the critical exploration of the healthcare scientific field (specifically on the topics of publication bias, predictive values of research findings, inconsistencies in study designs and publications) and validation of clinical tools (accuracy of diagnostic / prognostic methods and efficacy / effectiveness / efficiency of therapies). As a new journal, this article is expected to be indexed to Lilacs in 18 months and to Medline in 36 months. No impact factor yet available. In order to diminish conflicts of interest, as policy, Evidence does not accept donations nor sponsorship from the industry. But, why Evidence? - In the video below, Luis Cláudio Correia, weighs in on why would we need another medical journal in a world that lacks “better research and research done for the right reasons” as stated by Doug Altman in his seminal 1994 article The Scandal of Poor Medical Research. Leia o editorial e veja o vídeo em português. Thought Experiments (up to 5,000 words in length).